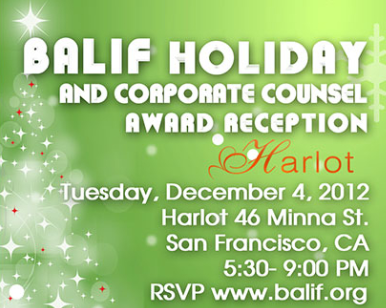 Corporate Counsel Diversity Award Reception! Hilary Ware and Andrew Vu! Hilary Ware is Associate General Counsel at Netflix, where she manages Netflix's litigation and regulatory matters worldwide. She has served on several committees and boards in the LGBT community, including Lambda Legal and NCLR, and is active in a variety of progressive fundraising and lobbying causes. She graduated from Wellesley, where she was chair of Wellesley's LGBT student organization, and received her J.D./Ed.M. from Harvard University. After clerking in the Southern District of Florida, she moved to San Francisco and joined Heller Ehrman, where she practiced complex commercial litigation and had the incredible chance to participate as pro bono counsel on the marriage litigation. Prior to joining Netflix, she was Managing Litigation Counsel at Google, where in addition to managing Google's commercial litigation she was on the steering committee of the LGBT organization at Google (the "Gayglers"). She lives in San Francisco with her three kids. Andrew Vu is currently the Senior Associate General Counsel at Walmart Global eCommerce. Previously he was the Assistant General Counsel at SAP Business Objects, where he provided counsel to its engineering department on intellectual property issues, technology/software development and licensing matters. Andrew is a longtime member of BALIF, having served on the BALIF Board of Directors and being an active member of BALIF's Judiciary Committee and Mentorship Program. Andrew is also one of the original founding members of VABANC and has served on the VABANC Board and chaired its Judiciary Committee. Andrew is the former President of the Asian Pacific Bar Association of Silicon Valley. 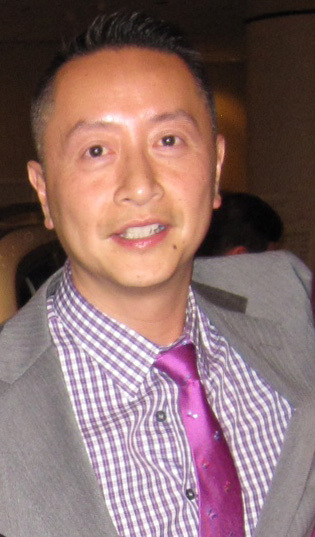 As an openly gay Vietnamese American attorney, he advocates for diversity in the legal profession and equality for the lesbians, gay men, bisexuals, and transgendered community and the Vietnamese and Asian American community.